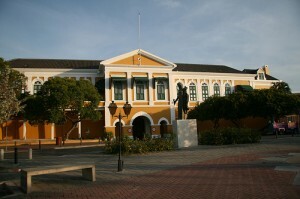 WILLEMSTAD – The Governor of Curaçao Lucille George-Wout indicated to the group of eleven that their meeting last night was illegal. The Governor made this clear during her meeting with the new majority in parliament. The group of eleven Members of Parliament called an urgent meeting last night to adopt motions against the President and Vice-President of Parliament and also Prime Minister Hensley Koeiman and his government. The group adopted in total seven motion against the government.